We were unable to attend the ANDA/APTA Coin, Note, and Stamp Show in Melbourne on the 8th and 9th August 2014. But fortunately, Eric Eigner from Drake Sterling Numismatics was there to keep us up-to-date on the numismatic happenings at the show. 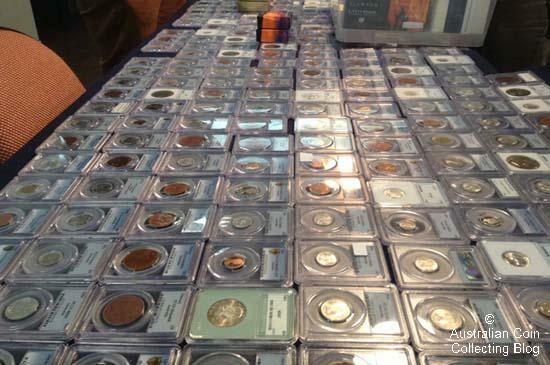 Unlike previous years, the Melbourne ANDA Coin Show was held at the Dallas Brooks Centre just off Victoria Parade on the edge of Melbourne’s CBD. I arrived early, a few minutes before doors opened, but after I saw the long queue at the ticket booth, I decided to wait at the nearby coffee shop. I snuck in a bit later once the queue had shortened. I don’t mind the Dallas Brooks Centre. It has been used for coin-related events in the past, but this is the first time (in my memory) that ANDA has used the venue for one of its shows. 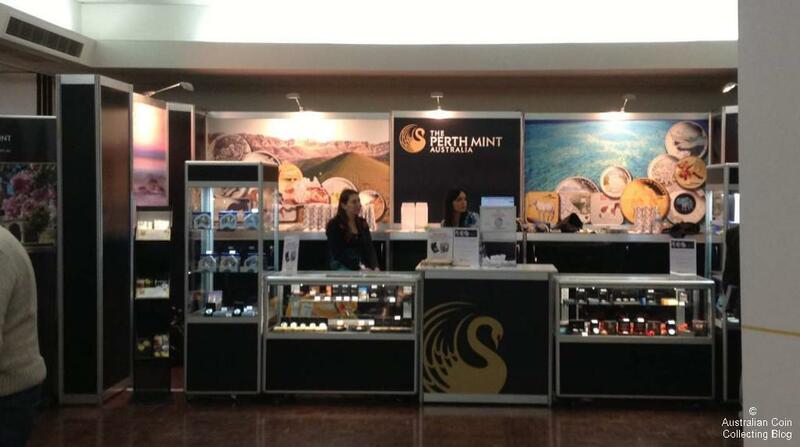 Inside, there were four blocks of dealers, encircled by a horseshoe of stands belonging to the Perth Mint, the Royal Australian Mint, and a few of the local coin clubs. Of the venue itself, my first impressions were positive. The only negative was that it was extremely difficult to find cheap parking in the area. Next year, I’ll be taking a tram or a bus; more athletic collectors could also walk the kilometre or so from the main part of town. Most of the usual dealers were present, including Andrew Crellin all the way from Fremantle, Western Australia. Bob and Jacquie Innes and Paul Hannaford had made the trek from sunny Queensland. Bullion Club (now operating under the AGSX banner) Chris Buesnell, and Prospect Stamps and Coins came down from Sydney, while Steve Nugent and Stephen Cole flew in from Adelaide and Tasmania, respectively. Three old favourites from Canberra, Ed Cummings, Tony Bryne, and Kevin Ayres, held adjacent tables near the edge of the hall, while the locals from Melbourne, Klaus Ford, Downies, Steele Waterman, and Scott Waterman, did not miss the opportunity to present their wares. Friday was the busiest day of the show. The lines at the door were persistent, and the crowds inside were both pleasing to see and frustrating to navigate. There was a wide range of coins, stamps, banknotes, precious metals, and modern product for collectors to purchase. I managed to pick up a decent 1927 penny from Kevin Ayres as well as a collectable group of half sovereigns from a Queensland dealer. Andrew Crellin had the most impressive display, in my view. It included no fewer than a dozen high-grade gold rarities, and about half a dozen pre-1955 proofs. The coins might have been out of the price range of the average collector, but it was nonetheless good to examine them close up. Saturday was less intense than Friday had been, but it gave collectors the opportunity to examine coins at a more leisurely pace. Dealers were more approachable and more willing to horse trade, too. Best of all, the queues at the Royal Australian Mint stand were more manageable, so if you were after a counterstamped dollar (not counterstamped on site, unfortunately), then Saturday was the day to attend. On the whole, it was a pleasing show. I don’t think coin shows have the same rock star ability to pull numbers like they used to, but it was good to see collectors and dealers making the effort to attend. 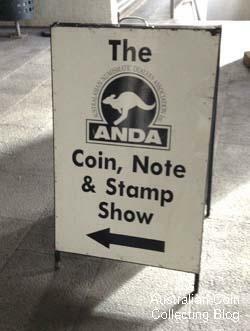 The next ANDA/APTA Coin, Banknote, and Stamp Show will be held at the Lower Town Hall, Druitt St, Sydney on Friday 24th and Saturday 25th October. See you there.